The match ups are all set for the TUF 8 Finale which airs live on Spike on December 13th. The surprise is that all the cast members are fighting. When Will They Fight Again? Pretty much the UFC has booked out all the way through UFC 90. That means that they will have to find fighters to fill in the gaps on November’s UFC 91, December’s UFC 92, and the Ultimate Fighter Finale. Unless the UFC adds another card somewhere along the way, that means there are about 25 fights to book before year end. There are slightly more than 30 fighters who are not scheduled for a fight as we speak. I say that because I assume that some of the guys that fight in UFC 88 will be ready and will in fact fight again before year’s end. For example, it may not be out of the question to see Chuck Liddell fight again in December if he wins against Rashad Evans and does not get hurt. With that said, let’s evaluate the guys in queue. Gabriel Gonzaga – The biggest named heavyweight not scheduled yet. I say that assuming Lesnar vs. Kongo will take place at UFC 91. Gonzaga ought to be in action sooner than later, but against who? Perhaps Heath Herring would be a good match or even Jake O’Brien. Cain Velasquez – I put him here, but I hear a solid rumor that he will fight Antoni Hardonk at UFC 90. I have also heard that the UFC is having a hard time finding a willing opponent. Heath Herring – Honestly, I think he will sit out the rest of the year, but may get on a January or February card. He took a beating from Lesnar and needs time to heal. Mark Coleman – He has been hurt, but has been rumored to be coming back. For a while there were rumors of him fighting at 205 against Shogun. He could be back on the December card for his return to the octagon. Forrest Griffin – I am gonna jump all over Griffin and the UFC until the schedule a title defense. This belt has been defended scarcely. I think title holder have an obligation to defend their belt. Griffin fought in July, he ought to be ready by year’s end. We could see him fight Liddell if he wins. We could see him fight Machida if Machida finishes Thiago Silva quickly at UFC 89. Some have even speculated that he could fight Wanderlei, but I doubt that yet. I think Machida is the number one cotnender today. I expect to see Forrest fight in December. Quinton “Rampage” Jackson – There have been two rumors floating around about Jackson. Some have recently spoke of a Jackson vs. Wanderlei III fight to take place in November. I think that is likely. The fight is in Portland, not far from where Jackson trains. The fans want it. The other fight has been a speculated Shogun re-match in December. I guess Jackson’s next fight will depend on his legal status. Wanderlei Silva – He has been told to prepare for a December return, but don’t count out the November fight with Jackson. I expect to see Wanderlei before year’s end, or at least I hope to. Mauricio “Shogun” Rua – He is recovering from an injury and says he will be ready by December. He says he is fighting Rampage, but that doesn’t seem too credible. I am most certain he will be on the December card though. Stephan Bonnar – I also think he will be on the December card as he recovers from an injury. Against who? I have no idea. I have a prediction though: Steve Cantwell or Brian Stann from the WEC. The UFC has talked about the heavier weight classes coming over to the UFC. Bonnar would make a good match for either of those guys. Or even a guy like UFC newcomer Jon Jones. Demian Maia – We could see him as early as November. I think that he could match up with about anybody, but top middleweight contenders are booked up right now. Nate Quarry – He broke his orbital bone recently and will be out for a bit. Kendall Grove – He just opened a gym and is enjoying fatehrhood, he may be off for a while too, but I’d like to see him fight soon. Amir Sadollah – Amir will be in the ring before year’s end. He could possible fight on the TUF finale card. C.B. 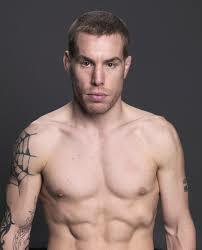 Dolloway – I haven’t heard whether he will fight again in 2008, but I don’t see why he couldn’t. Matthew Riddle – I would expect to see him back soon as well. He looked good against Dante at the TUF 7 finale. Jon Fitch – He will be back soon against a top contender, but I don’t know who that will be. He could fight on the December card. He gained tons of respect from the GSP fight. Josh Koscheck – He should be back in November. The options are numerous for him. He is just a win or two away from a title shot, which he could have before the end of 2009. He must get in line though behind B.J. Penn and then the winner of the Sanchez vs. Alves fight will get the next title shot probably in the summer of 2009. Mike Swick – He says he will be ready in December following elbow surgery. Chris Wilson – He looked good at UFC 87. He could return before year’s end on an undercard. Chris Lytle – I don’t know how he is doing following his blood bath loss to Koscheck, but I presume he could fight this year. Dustin Hazelett – He has looked good lately. I suspect he too will fight this year. Luigi Fiorvanti – I hadn’t heard anything on the Luigi front, but he could be back soon too. Anthony Johnson – He says he will be ready to go by October following the eye poke. Rory Markham – I am really shocked that he won’t be on the UFC 90 card in his hometown of Chicago. He lobbied for that event, but apparently won’t get it, but I guess he could still be added. Kevin Burns – How about Burns vs. Markham at UFC 90? Brad Blackburn – He has a broken hand, so he won’t be ready I don’t think. Roger Huerta – Grease monkey may be back, I’d like to see him get beat by Edgar. Frank Edgar – I am pretty sure we will see him by year’s end and probably against one of the guys on this list. Matt Wiman – I am looking forward to seeing him return. How about Wiman vs. Stephens? Cole Miller – He looked good against Gurgel and should be back soon. Jeremy Stephens – See above. Manny Gamburyan – He could drop to 145 in the WEC.